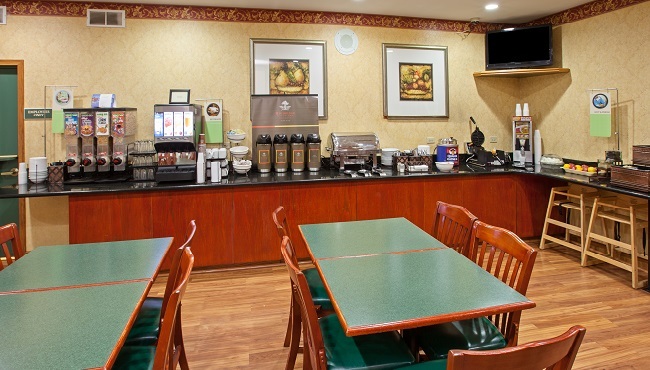 Whether you’re in a hurry to catch a flight at ORD or are eager to explore nearby Chicago, the complimentary, hot breakfast at the Country Inn & Suites, Chicago O’Hare South will help you get on your way. The free, hot breakfast features items such as eggs and sausage as well as fresh fruit, pastries and make-your-own waffles. Later in the day, get out and explore some of the great area restaurants, including Retro Bistro and 100 South Chop House & Grill.